The world’s first Multigigabit Ethernet switch with eight full power PoE+ and multi-speed 1G, 2.5G ports combined with two 10G uplinks for a fully non-blocking deployment of eight Wave 2 11ac access points from any vendor. The ProSAFE M4200 Switch Series delivers a unique, effective solution for Wave 2 802.11ac deployments. The M4200 is the first 8x2.5G Multi-Gigabit switch with full PoE+ provision on all ports and 2x10G line-rate aggregation to the wiring closet. Plenum rated, slim design and mounting accessories allow for access point placement optimization and cabling efficiency even in nontraditional networking environments. L3 feature set includes static routing and RIP dynamic routing. The NETGEAR M4200 is ready for the future, with Software-defined Network (SDN) and OpenFlow 1.3 enabled for your network. The ProSAFE M4200-10MG-PoE+ Managed Switch was designed from the ground up to optimize the installation of Wave 2 11ac access points. Includes eight full power PoE+ and multi-speed 1G, 2.5G ports for 100 meter legacy cable runs, combined with two 10G uplinks for a fully non-blocking deployment of eight Wave 2 11ac access points. Two of these eight 1G, 2.5G PoE+ ports also support 5G speed. 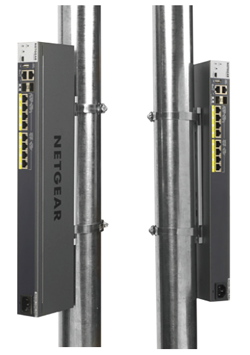 NETGEAR Multigigabit Ethernet is compatible with most major wireless and switching vendors managed solutions, and the only one with 8x2.5G to the AP with 240W PoE available and 2x10G line-rate aggregation to the wiring closet. Plenum rated, slim design and mounting accessories allow you to place this switch to optimize access point placement and cabling efficiency, inside and outside the rack. NETGEAR Intelligent Edge Switch solutions combine latest advances in hardware and software engineering for higher flexibility, lower complexity and stronger investment protection, at a high-value price point. M4200 is the world’s first Multigigabit Ethernet switch with eight full power PoE+ and multi-speed 1G, 2.5G ports combined with two 10G uplinks for a fully non-blocking deployment of eight Wave 2 11ac access points from any vendor. 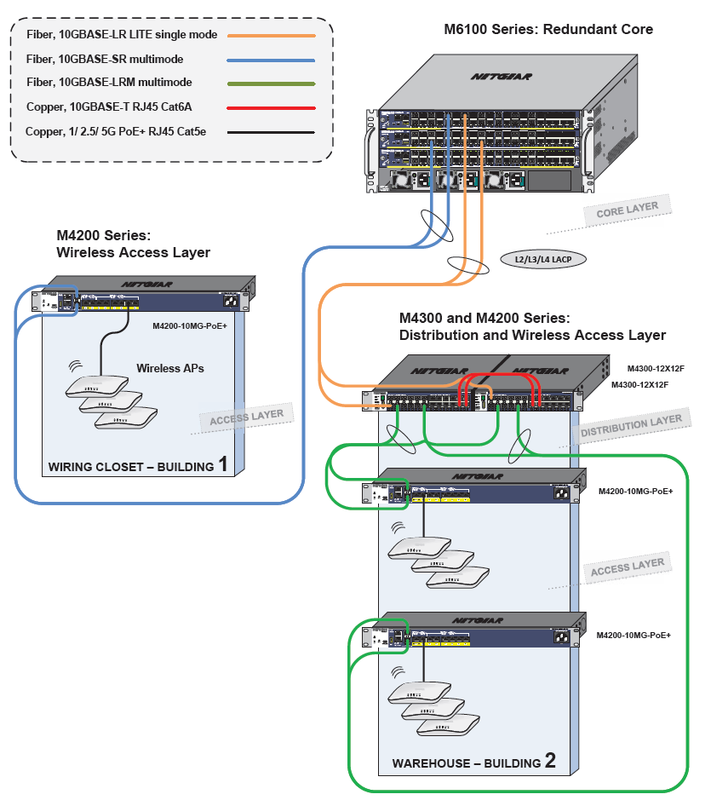 Download the NETGEAR M4200 Series Datasheet (PDF).